There was many years ago a slab with a crypt top. The crypt box had apparently cracked and allowed rain and natural water into the crypt with the coffin. The coffin was a nice watertight high-end job. The coffin acted as a bobber and lifted the crypt top a couple of inches up. If you knew how to do it, you could stand by one corner of the top, and step on the corner, and “grave-water” would squirt out the other corner on an unsuspecting victim. 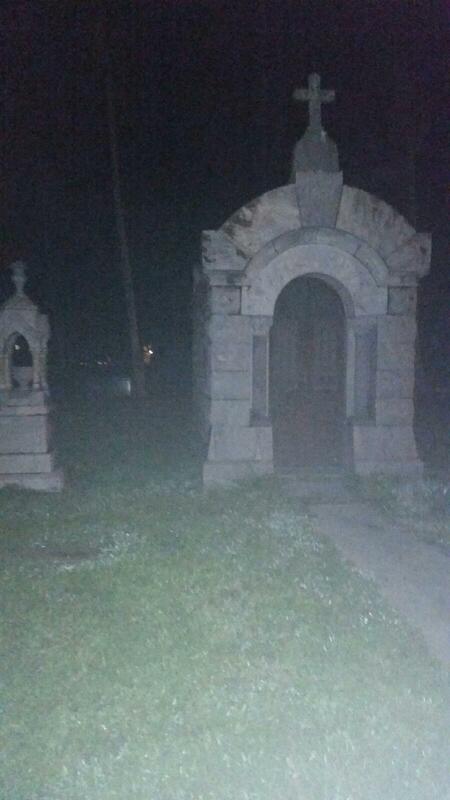 There is a grave where the fence parts the two graveyard apart took a picture and one of the graves a grey mist is in the picture coming out of that grave..
We got an evp of a little girl screaming for help and then a few months later of small children playing. That and ince while filming, a strange clicking sound could be heard on rhe audio. 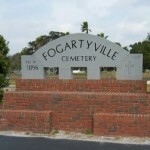 I wpuld say that the “black side”, is easily the most haunted section of the fogarty cemetery. It’s definitely a pretty creepy place. My friend and I went late during the night and got a picture of something white beside a tree. There was nothing there at the time we took the picture either. Its definitley creepy. Not only do I have a childhood friend whos fence in the backyard is a line dividing his yatd to the afrocan american section of the cemetery but one of my oldest,dearest friends grandmother OWNS AND LIVES IN THE TRUE FOGARTVILLE HOUSE. I have heard quite a few believable stories about strange occurances in the house. A vase being thrown across a room,water turning on in the bathtub ,etc. I do believe these things happened. However Mrs. White still lives in the home and no one has EVER been hurt TO MY KNOWLEDGE. Its a beautiful historic home I have been to many times. As far as I know there has never been anyone named white in the fogarty house. I remember the merkins’ and the shellers but never any whites. I lived right across the street from that house. There’s the the last of the family line up the street in a little white house but it’s not a fogarty house. The green house across the street from the fogarty house is haunted, very…. 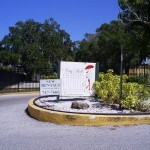 I grew up there and can affirm that it is probably the most haunted residence in the area. Not that there aren’t other haunted homes and the few things I’ve heard here and there are nothing I haven’t seen or heard. Who ever reads this should try a night at 410 29th st nw. That’s the place to see or hear something. Robert yes, Mrs. Joann White has lived at the house for 55 years. The house just went up for sale on my block and i had the pleasure of being invited into her home, meeting not one her but her daughter. Mrs White raised a large family and had many interesting stories and while i was there they mentioned the ghosts and the door behind Mrs White suddenly closed! Very neat, so much history!